Wal-Mart retakes the No. 1 slot on the Fortune 500 this year. See where America's largest corporations rank, and why. 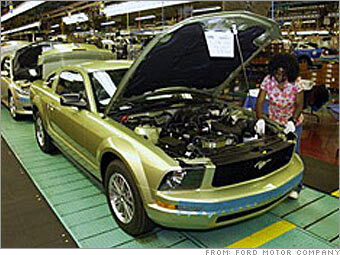 Like rival GM, Ford is also in the red this year, by a whopping $12 billion. In 2006, CEO Bill Ford Jr. stepped aside to let former Boeing CEO Alan Mulally tinker with the company's big problems. Revenues fell 10% from last year, making Ford the only company in the top 50 to see a decrease in sales, bumping the carmaker down two notches on the list.